If you have Social Security Disability questions, we’re here to help. Take a look at the frequently asked question below and if you don’t see the answer to your question, please don’t hesitate to contact us. When should I apply for SSDI or SSI? How do I apply for SSDI or SSI? Who decides if my application is approved? How long will it take to find out if my application has been approved or denied? What should I so if my SSDI application is denied? What medical conditions qualify for SSDI? What medical information will I have to provide to prove I’m disabled? Can I work and get SSDI benefits at the same time? How do I appeal if my application is denied? How much will my monthly disability benefit be if my application is approved? 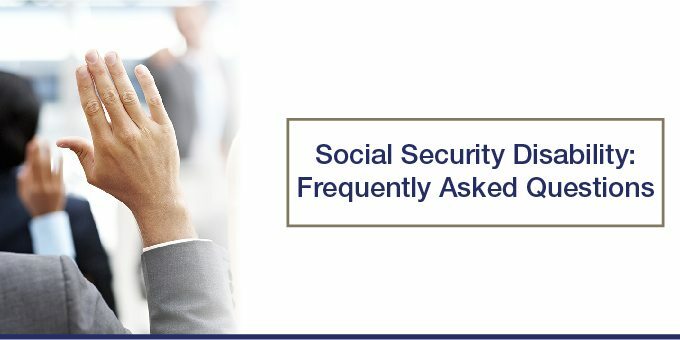 When should I hire a Social Security Disability lawyer to help me with my SSDI application? 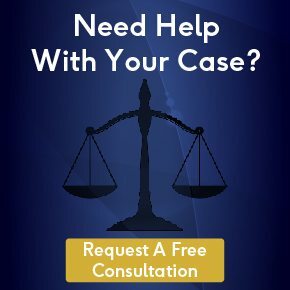 How much does a disability lawyer cost? Will I have to pay anything upfront to hire a lawyer? Where is the Sacramento SSA office located? What is the phone number for the local Sacramento SSA office? We recommend that you apply for SSDI and/or SSI when you have been off of work for more than 12 months or you believe that you WILL be off of work for 12 months. It is better to apply sooner than later because the process can take months or years to finish the case. The application is processed by a local Social Security Field Office and a caseworker. This caseworker also sends your medical records to a state agency to provide a medical opinion in your case. The average time for a response on a initial application in our area is 3 to 6 months. What should I do if my SSDI claim is denied? APPEAL! For almost all denials, a person should appeal the denial if they believe they are disabled. Just make sure you do so within the time limit. What medical conditions automatically qualify for SSDI? There is a list of medical conditions on the Compassionate Allowance List that if you meet the criteria for the disease, you will qualify you for benefits. It can be found at (http://www.ssa.gov/compassionateallowances/conditions.htm). Although nothing is a social security case is “automatic” this is the easiest way to qualify. There is also the medical listings of impairments that operates the same way at (http://www.ssa.gov/disability/professionals/bluebook/AdultListings.htm). However, it is hard to meet these listings and most approved cases use a different procedure because the majority of applicants cannot meet the listings. What medical information will I need to prove I’m disabled? Getting old and current treatment records related to the medical issues that keep you from working. These records are the heart of a social security case. Besides the records themselves, supportive statements from your medical providers also are very important evidence of your disability. The short answer is yes. The long answer is that it all depends on how much work you are doing and how much income you have from that work. There is a 5 step disability process with SSDI/SSI and step one is whether you have income from work above $1,090.00 a month. This question all depends on your special situation and the facts of your case. I recommend contacting a SSDI attorney to get more information. If your application is denied, and most of them are, then the next phase, called reconsideration can last another 3 months. As of 2015, the maximum monthly SSDI benefit is $2663, but the actual amount you receive is based on your lifetime average earnings covered by Social Security. The SSA provides an online calculator to help you estimate your benefit. For most people SSDI money is not taxable. However if you make over a certain limit then some or all of your benefits may be taxable. This question is very fact specific and should be answered by a Certified Public Accountant or Attorney who knows tax law and how it works with SSDI payments. Also, the lump sum back pay may or may not be taxable but we recommend you consult with a professional on the answer to your specific situation. When should I hire an attorney to help me with my SSDI application? An application is very important, but most people can do it on their own. Some attorneys apply for people and other attorneys ask that the individual applies themselves and the attorney can assist with an appeal if the application is denied. We recommend you contact a SSDI attorney and talk about applying since it all depends on your specific situation. How much does a Social Security Disability attorney cost? The amount your SSDI attorney can charge is actually set by law. Your SSDI attorney will receive 25% (up to a maximum of $6,000) of your backpay award, if you win your appeal. If you don’t win your appeal, your attorney won’t make anything. Will I have to pay anything upfront for a Social Security Disability attorney? There is no upfront cost to hire a Social Security Disability attorney and they will not make anything unless you win your appeal. Both programs are intended to help people who are not able to earn an income because they are disabled. SSDI is intended to help people who worked and paid taxes into the Social Security system before they became disabled, whereas SSI is a needs-based program available to anyone regardless of whether they ever worked or paid taxes into the Social Security system. There are several SSA offices located throughout Sacramento. To find the location closest to you, use this location finder. What is the phone number for the Sacramento SSA office? To contact the SSA you can call their toll-free number at 1-800-772-1213 or use the location finder to find the phone number for the location nearest you.